“I am the eldest child in my family and I graduated from a local university (UKM) with a Hons degree in Pharmacy. I am married with 2 lovely girls aged 8 and 5. I have a very loving and supportive family and am really a homebody who loves to spend time with them. 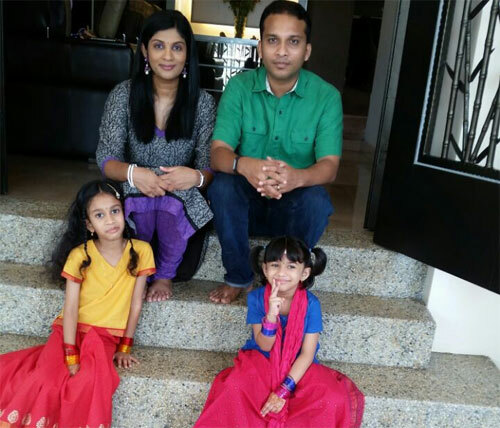 Both my husband and extended family have been truly supportive in this process – so having that support network is very, very helpful.” Jayanthi Boobalan, Head of Regulatory Affairs, ASEAN cluster, Pfizer Malaysia Sdn Bhd. I am basically a person with science background and while I was advancing in my career at my workplace, I felt that it would be useful to gain a perspective on how the business functions and some relevant information on business administrative knowledge. I felt that this understanding was imperative for me to function as a better leader to support my organization. I knew that it would not be an easy task to study while raising a young family, but I like learning and I always believe that learning does not stop regardless of age. It was a personal choice to pursue this course but of course I could not have persevered without the support of my family members. I did some background checks on many available programmes and since I graduated from a local university, I wanted a different kind of exposure and believe that pursuing a masters degree from an international organization would provide me that exposure. Also, cost and convenience of schedule was a major consideration on my part. I could only spare weekends to attend classes and INTI offered this convenience and not to mention it was also close to my home. I initially thought that pursuing a coursework-based programme would be less demanding than taking a course based on exams, however, having gone through this course; I beg to differ on this opinion. It was not easy working on the assignments –there was a need to spare a huge amount of time to do thorough research before being able to produce a good assignment but I think this also allowed me to apply what I learnt in classes and helped to reinforce the learning. I am happy that I made this choice. 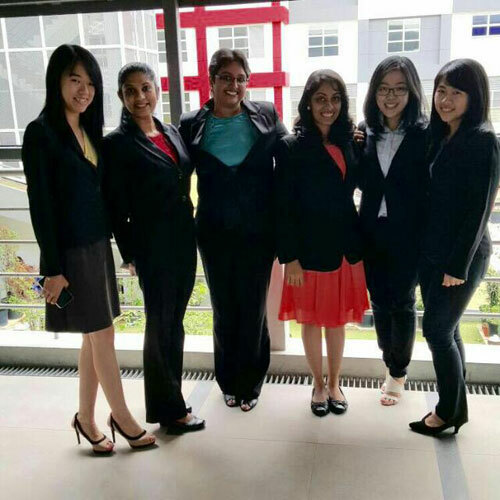 Jayanthi (second from left) with her Coventry University MBA coursemates at INTI. Firstly, it was not easy to get started with the active phase of leaning again after a long break from the first degree. However, things does fall into place and gets a bit easier after the first semester when you kind of learn to work around the routine as well as learn the ropes and demands of the coursework. I have a demanding work schedule and travel frequently for work too. Thus, between juggling with work and studies and also keeping to my family demands/responsibilities was basically like holding 3 full time jobs all at once. For example if I am travelling for work, then I had to make sure things are home are all prepared and taken care off, ensure my assignment schedules are planned appropriately etc. so that the 3 aspects are all taken care off. It was tough, but I am still hanging on and hope will be able to complete this milestone successfully. Your family is not a hindrance; always take them as your source of motivation – whenever I felt like giving up, they were the reason for me to strive on. There will be a need to change your routine and be disciplined to balance between work, studies and family – it is not an easy task but it’s never impossible. If you are determined to pursue something, go for it – it will be challenging, never expect anything less. But remember that even if you make a little progress each day, you still achieve something at the end rather than not doing anything at all to begin with. My family has also sacrificed a lot in my learning process, they have less of my time nowadays, but in the process, they also learned to be more independent, mature and understanding kids. They understand why I am doing this, but I am sure they would are looking forward to have the additional time with me back, once the course is completed. My course mates too have been active pillar of support, I learned quite a bit from them and we motivate each other to keep going. As mothers you tend to put the needs of others before yourself; sometimes risking your health, happiness and well-being. This is a day to cherish the selfless decisions and sacrifices you make for your loved ones. Happy Mother’s Day to the lovely mums out there!